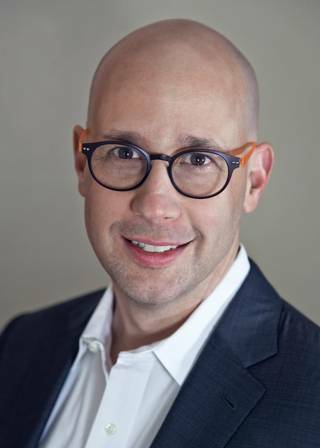 Raleigh  Following a national search, Dix Park Conservancy announced today that nationally acclaimed nonprofit leader, Sean Malone, has been named as its first President & CEO. Dix Park Conservancy is a nonprofit organization that exists to support the City of Raleigh and "ensure the success and use of a spectacular urban park that will enhance the daily lives of all community residents and become a crown jewel for North Carolina." The organization was created in 2016, representing the strategic collaboration of the leadership of three Dix Park advocacy groups  the Dix Visionaries, Dix 306, and Friends of Dix Park  as well as other engaged civic and business leaders. "Sean is the perfect fit for this endeavor, and we very excited to welcome him as our first President & CEO," said Dix Park Conservancy Board Chair, Jim Goodmon. "His experience, accomplishments, passion, and quick and creative mind will help ensure that this community achieves a truly bold vision for Dix Park." Malone takes on this leadership role as the City of Raleigh and Dix Park Conservancy work together toward the selection of a master planning firm for Dix Park. "Dix Park is one of the most exciting projects in the country right now; the potential public-benefit impact is simply extraordinary," said Malone. "I am thrilled, honored, and humbled to be joining the civic and philanthropic leaders involved in this incredible endeavor." Throughout his career, Malone has earned a reputation as an entrepreneurial, impact-focused nonprofit CEO. For the past 20 years, he has led cultural institutions that steward and celebrate a deep sense of place  from the National Historic Landmark Ten Chimneys' 60 acres of Kettle Moraine in Wisconsin to the diverse 1,300+ acres of Frank Lloyd Wright's Taliesin West in Arizona and Taliesin in Wisconsin. As President & CEO of the national Frank Lloyd Wright Foundation, Malone led that organization to a number of major accomplishments, including the joint stewardship of the Frank Lloyd Wright Foundation Archives with the Museum of Modern Art and Columbia University, a comprehensive Preservation Master Plan for Wright's Taliesin West, a pioneering initiative to convert the 500-acre landmark into a net-zero energy site, an impact-focused overhaul of public tours, and more than tripling the Foundation's annual contributed income. For fifteen years prior, Malone led Ten Chimneys Foundation, growing it from a two-person start-up to a respected, multifaceted institution, a world-class historic site, and a national resource for theatre and the arts. Following a successful capital campaign and a complex restoration, preservation, and construction project, Sean and a team of trustees and staff built a focused, disciplined, and financially strong organization  sustainably quintupling annual giving levels and achieving great programmatic success, including nationally acclaimed public tours, exhibitions, educational and public programs, and the development and launch of the Lunt-Fontanne Fellowship Program, a celebrated national program serving the future of American theatre. I addition to his direct organizational leadership, Malone has been a successful consultant, writer, speaker, and graduate-level teacher in the areas of nonprofit strategic planning, fundraising, mission development, governance, communications, and finance. Sean has a Masters in Business from the University of WisconsinMadison and a BFA in Theatre from the University of Southern California. He was honored to be selected as one of "the 100 top arts/cultural leaders in America and abroad" invited to participate in the inaugural Chief Executive Program through National Arts Strategies, and has earned post-professional certificates from executive education programs at the Schools of Business at Harvard University, University of Michigan, and University of TexasAustin. Malone, his wife, Erika Kent, and his two daughters, Emma and Lili, are in the process of relocating  and are thrilled to be making the Raleigh area their new home and community. Read more about Sean's bio here. See more about Dix Park Conservancy here.